Happy Friday, readers! Today, I’m picking up with the second installment of the month-long Sched App tutorial for UtopYA 2015! This week, we’re learning how to add events and panels to your schedule! Easy, right? That’s all there is too it! 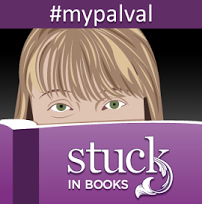 Now, stay tuned to learn how to integrate the schedule app with your calendar on your phone from Paisley Reader next Friday, and then how to buy/adjust tickets bought and add friends to your list from Book Junkie: Not so Anonymous the following week! And if you haven’t yet bought your tickets for UtopYA 2015, you can still grab them here–you don’t want to miss out on all the epicness that is utopYA 2015, June 17-21! It’s Friday! Yay yay yay! Let me tell you, this week has been rough for me, but I’ve got a fun post for y’all to make your Friday even better!! 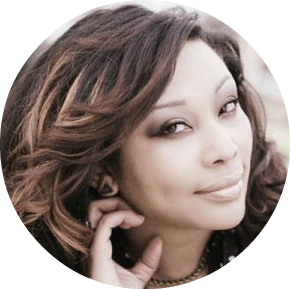 The ever talented Victoria Faye of Whit&Ware is here to answer some interview questions and talk about her upcoming workshop—Book Branding Blueprint —at utopYA Con 2015. If you don’t have your ticket yet, you need to get one soon! There are only 98 days until the event, and you don’t want to miss out on all the epicness that is utopYA 2015! Scoop up your ticket here (hint: you can purchase a ticket to Victoria Faye’s Whit&Ware workshop here and find out more about it). In addition to the amazing information you’ll get this month from the official bloggers, be sure and write down the partial phrase you’ll find on each blog. We’re giving away Saturday signing space, and you’ll need the whole phrase in order to enter. Where did you go to school to gain your mad design and marketing skills? While I did go to school and get a degree in Media Technology and Graphic Design in Northern CA (Hartnell, Monterey County) I’m largely self taught. Most of my learning actually happened on the job, I got an internship at Marketing company almost right out of a high school, and they put me on every job possible as the assistant inhouse designer. I was there for a few years, then I had the luck of having friends who worked in entertainment, specifically in set design and fashion styling, I was able to learn lot from them about branding individuals and styling/designing concepts. That experience helped me land a job as a visual artist and merchandiser at Forever 21, Urban Outfitters and Macys before I started doing freelance design. I got to design floor displays and store graphics and create style directives for womens/juniors fashion. After that I worked for a video production/manufacturer as a marketing coordinator for 5 years designing branding and marketing campaigns while building my design business, so its mostly been 15 years of on the job training, I also try to get into professional workshops and study for certifications every year to help me stay updated on all the software and practices I’m constantly learning! What kind of degree(s) do you hold in these fields? I have a degree in Graphic Design, and currently working towards a BA degree in New Media Marketing. What part of the workshop are you looking forward to presenting most and why? I really want to break down what branding and marketing is and how they are both easy to do at any scale. Indie authors wear so many hats, and sometimes the final piece of the puzzle, the marketing, gets convoluted because there’s no clear brand identity, nor is there a clear plan other than just to sell a book once its done. I want to share how authors can create longevity over their indie careers and grow as indie publishing grows so they can stay relevant. What’s your biggest success story with an author? I rebranded Tammy’s first book, DESTINY BINDS and after that I was blessed that she chose me to do the rest she wanted her covers to be mysterious and unique so we worked together to create silhouette styled covers that weren’t photography based. Heather has an existing marketing plan that she was working on with her publicist so from her covers to her trailer, I needed to make sure I stayed within the guidelines of a something that felt magical and paid homage to fairytales, but was still easily recognizable as more adult. I designed the fonts and the series logo for her as well as the additional artwork I knew she would need for promotions. The Undertakers series moved to a new publisher so they needed the title branding and supplemental art to be updated, yet still similar to the original release of the series. I designed the title art and the jacket design to stay reminiscent of the original books, but still look fresh. Currently I’m doing a branding case study with Eva Pohler. Alongside Indievisible.com, I am rebranding all her books and working on a new campaign that will enhance the amazing marketing that Eva already has in place. You can follow along on Eva’s blog or on the Indie-visible Blog on how I use the elements I’ll be sharing the the workshop to update her branding and streamline her marketing efforts its a long term branding project that I’m excited about because people will actually get to see how it works in real time. Real measurable success happens overtime, while tweaking the branding and the marketing methods. Its not instantaneous. First having a plan of action and then revising accordingly is essential, and authors get overwhelmed and frustrated with figuring out how to do that. My workshop is specifically aimed at teaching authors how to execute a marketing plan and keep their branding consistent. What does the Dream Like a Boss package include? The DREAM LIKE A BOSS Giveaway (opening March 20) includes a full length trailer, book branding for up to 3 books, a 6 month marketing plan with all graphics included, An author logo Author website and consultations through out. It includes a planner that will itemize marketing goals, track progress and tasks, creating a design/plan for merchandising and so much more! Why should authors take advantage of the workshop? Consultations and packages for branding and marketing can get fairly expensive. Into the thousands of dollars range. Over several books you can’t afford to keep hiring someone or taking blind guesses. I designed the workshop to teach authors (In two hours) how to produce practical results like increased readership, visual consistency and yes, even better sales. The workshop basically offers indie authors a crash-course/guide that explicitly outlines what to, when to and how to market/brand each book release they have I’ve spent a year specifically designing the Indie Book Branding Blueprint and included FREE resources so that authors can feel like they are still in control of their whole publishing process and budget I’m just so excited to pass on what I know and what I’ve learned from working in marketing the workshop packs in so much in so little time, I think authors should take advantage of the fact they don’t have spend hours or even weeks hunting for all the answers! So, so awesome!!! Special thanks to Victoria for answering these questions! Excited? The workshop is available for just $80.00! The 2-Hour Intensive condenses 3 weeks of information from Whit&Ware’s Book Branding Blueprint Program (reg. $225).Purchasing the workshop also qualifies you for a %25 discount from the regular Blueprint program should you choose to enroll after UtopyaCon. When I first imagined my brand and design company, Whit&Ware, I knew I wanted to partner with my clients to help them define and chase even their smallest dreams because I value the importance of having someone on your side who believes in you and can help bring those dreams to life through solid branding, marketing and design. In my 10+ years as a designer and marketing professional, I have learned that when dreams are defined, they clearly communicate who you are, they attract believers in you and your brand, and ultimately, they help you thrive and inspire others. As Whit&Ware, I am committed to helping every client define their dream for those purposes exactly. It’s why I so often ask – how do you want to dream out loud today? AND don’t forget to visit the other official utopYA bloggers this month for information on the other workshops, and the special event going on Friday evening. Special thanks to Jo Michael’s for coming up with such awesome questions for Victoria! Here’s the third leg of the Official UtopYA Scavenger Hunt!! Check it out and ENTER, ENTER, ENTER!!! Happy Friday, everyone! Today, I am happy to bring you my section of the utopYA Con official bloggers’ scavenger hunt for our panelists’ books. 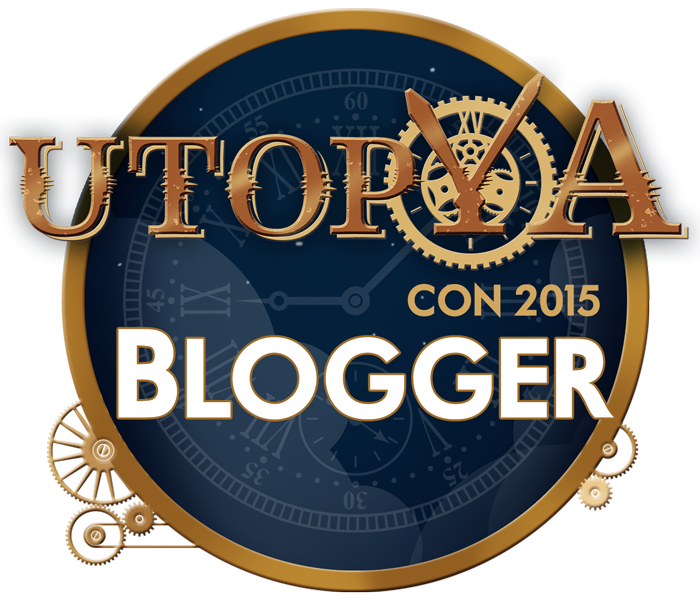 Before I get to the rules, let me tell you about the utopYA2015’s earlybird ticket prices! They’re ending February 28th, and that’s next week! Standard admission is currently $90, and VIP is $115. On the 28th, those prices go up to $110 for standard admission and $135 for VIP. Thinking about getting your tickets? Pick them up here. Guess which book from my short list the synopsis belongs to. Type your answer in the Rafflecopter entry form. Enter every day throughout the month of February for a shot at the prize! First, let’s talk about Maxwell’s Lounge, because in my opinion, that’s where it’s at. 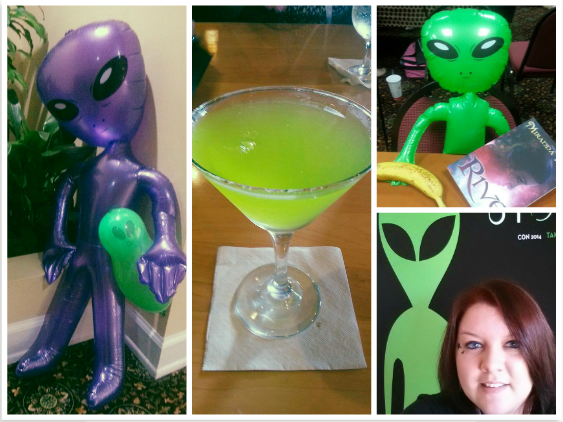 Last year, I spent every evening here, sipping the specially crafted drink made JUST for the con, meeting and greeting friends and author idols, eating the BEST quesadillas, and all around having a good time. 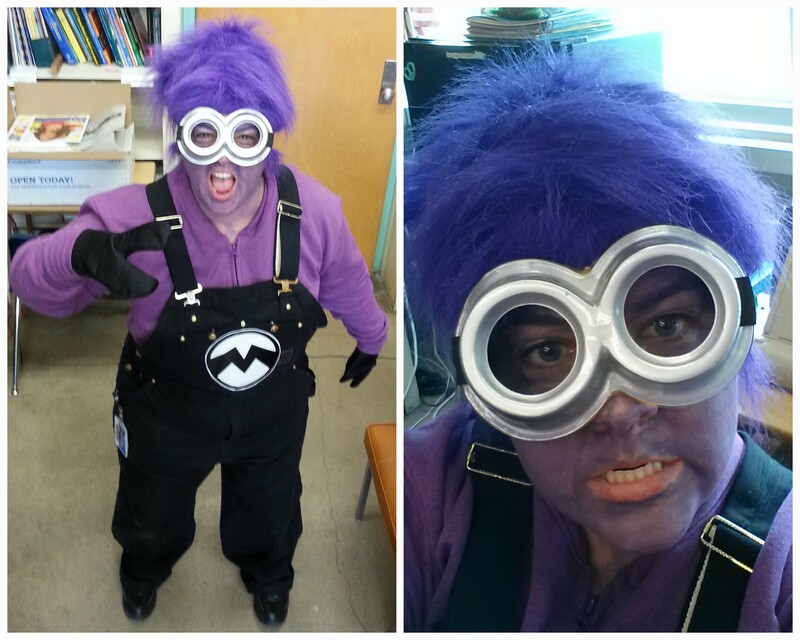 Especially for the costumed Karaoke… yeah, that happened. And it’ll happen again this year, so make sure you bring a costume and get suited up! (You don’t HAVE to wear a costume, or sing, but we’d love to see you all dressed up). And the food here… well, it’s definitely delectable! I really, really enjoyed it! The service was fast, and the atmosphere is definitely welcoming, if a bit small. But we’re a rowdy bunch, and we make room for everyone. So make sure you come on down and join the fun! Maxwell’s Lounge is the perfect setting in which to unwind after a day spent exploring the many delights that Nashville has to offer. As one of the livelier bars in Nashville, TN, Maxwell’s Lounge hosts entertainment every night of the week. Live bands regularly perform country, blues and alt-rock numbers while patrons socialize and enjoy a drink or two at the bar. Good food is also available, with the menu featuring a number of classic Southern dishes. All in all, this Nashville lounge is a great venue in which to enjoy a memorable night’s entertainment. This is more of a traditional sit down style restaurant than Maxwell’s Lounge (though you can certainly sit down and relax in Maxwell’s), and the buffet and food here is just as good—same kitchen as Maxwell’s Lounge—but I found it to be just a little small for our 700+ group. Hence, the wait for lunch was generally a bit long, and cramped. BUT—that just means planning on my part next year. Instead of trying to eat lunch during the lunch rush, I’m either going early or late. Since Pralines is open from 6am-10pm, there is plenty of time to get in, unlike Maxwell’s Lounge, which is only open in the afternoon to late evening. So plan accordingly! For guests seeking delicious dining near downtown Nashville, look no further than Praline’s Restaurant. Located within the Millennium Maxwell House Nashville, the restaurant serves up fresh, inventive dishes throughout the day. Breakfast, lunch and dinner can all be enjoyed within a relaxed setting at Praline’s. The food is cooked to perfection, with an emphasis on sourcing local ingredients where possible. And of course, there are tons of places to eat outside of the restaurant if you have access to a car or plan to take a shuttle/taxi. So—what are you waiting for? Book your tickets for UtopYA 2015 NOW on Eventbrite! 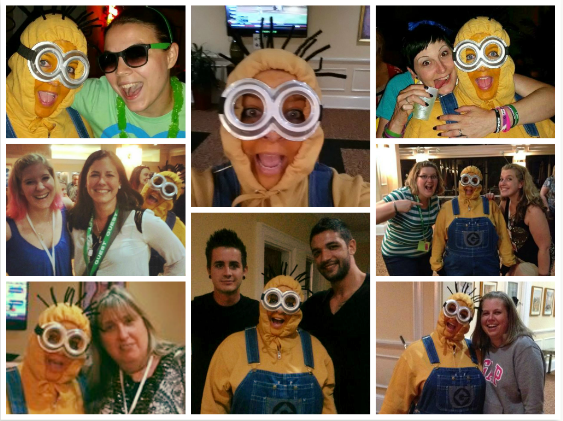 And, be sure and pop on over to the other official utopYA blogs this month for more awesome information on the hotel (like booking the hotel, room rates, Nashville stuff to do, and in depth information on the rooms and amenities – there are TONS – available). It’s time! Tickets for UtopYA 2015 are officially on sale! Make sure you scoop ’em up stat–this is one event you DO NOT want to miss. Trust me. But act fast, because prices will continue to rise as we get closer to the con date. REFUNDS ARE available until April 30, 2015, so act now—I know it’s a few months out, and your circumstances may change, but I highly, highly suggest that you book now. **prices subject to change—I will post updated prices as they rise. And THIS year we have THREE keynote speakers lined up: Denise Grover Swank, Lauren Miller, and Kim Holden, on top of all the other awesomeness and authors that will be in attendance! You really DON’T want to miss this! 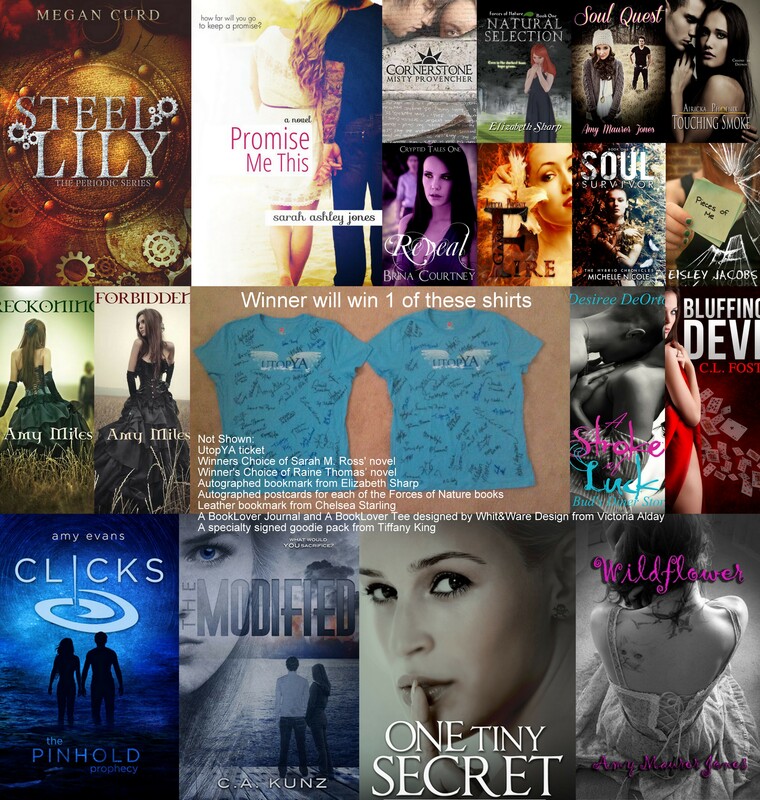 UtopYA 2013 and Special Announcements! Questions, comments, concerns? Let me know and I’ll do the best I can to answer them, or put you in touch with someone who can. Also, make sure you check out UtopYA online as they continue updating their site for next year’s event. See you there!! 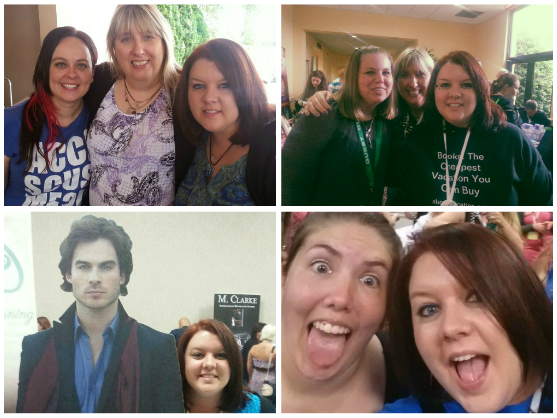 UtopYA 2014 Fan of the Year, Tammie Zimmerman, has graciously donated a full exhibitor space for giveaway! That’s right, you can win an ENTIRE exhibitor table for Friday, June 19, 2015! This is a ONE DAY table for Friday, June 19, 2015. The table will be located in the lobby. 2 chairs = two General Admission tickets (if you already bought a ticket, we will refund the ticket). It is the WINNER’S responsibility to let us know who will be using those tickets so that they can be officially registered in the system. Enter using this Rafflecopter for a chance to win! And don’t forget, tickets go on sale for the conference on November 28, 2014! UtopYA 2013 was one of the best experiences of my life, and I think the 300+ participants that were there with me this year would agree 100%. Right now, tickets for next year are on an early-bird sale, but they’ll no longer be on discounted sale after July 31. In fact, you won’t be able to buy them again until Black Friday when they will be released for full price admission. But never fear!! We’d love to see you down in Nashville, Tennessee, with us in 2014, and so, with the permission of UtopYA founder Janet Wallace, many authors and bloggers have come together to create TWO epic prize packs complete with one ticket to UtopYA 2014 (for 3-day pass to conference, admission to awards and after party, Friday night book signing, and Sunday write-in), a UtopYA 2013 t-shirt signed by a majority of the authors in attendance, signed books, ebooks, and swag. 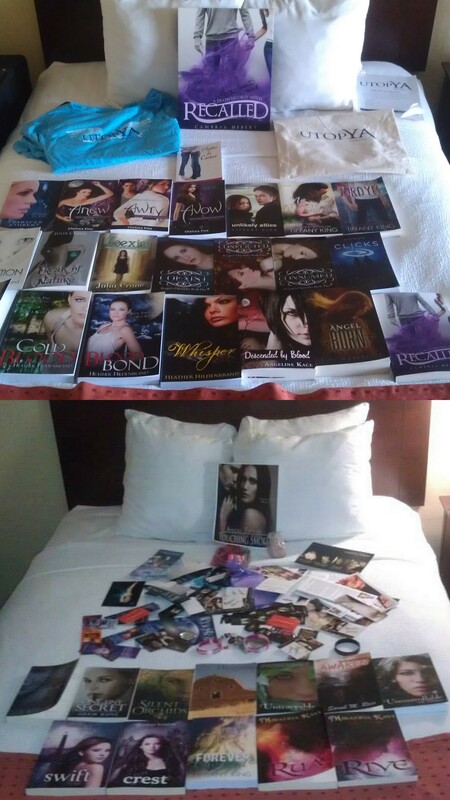 The sheer amount of prizes and support from authors and bloggers for this giveaway just goes to show you how much we adore UtopYA and each other, and we’d really like to see you there (prize pack does NOT include transportation to the conference or lodging, you’ll have to provide that on your own, sorry). 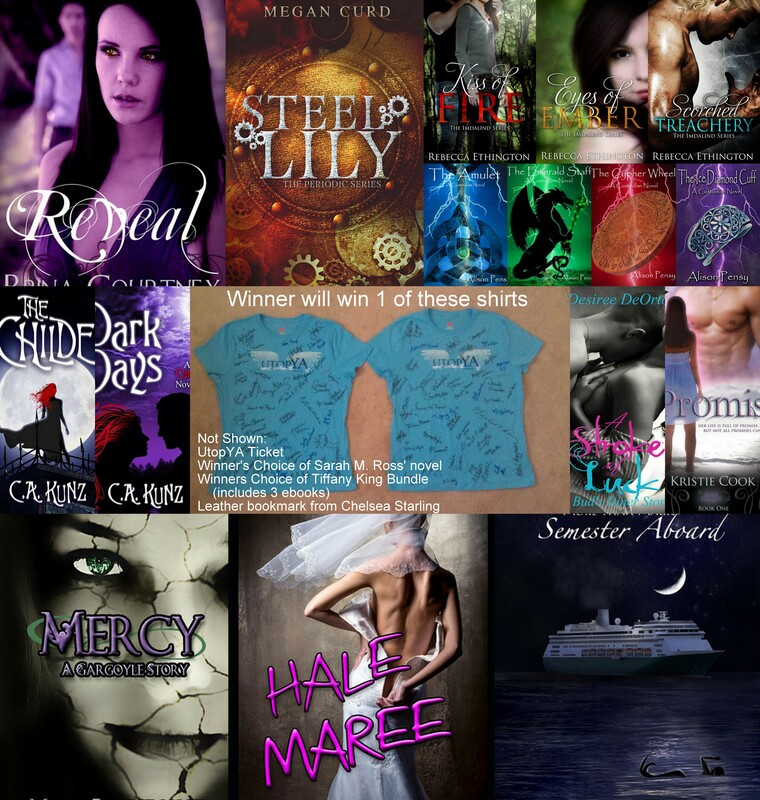 Honestly, I am salivating just looking at all the prizes in the Prize Packs! I am also in awe of the authors’ and bloggers’ willingness to donate so much, and it’s all because we really want you to come to UtopYA 2014 and experience how amazing the conference is for everyone in attendance: authors, readers, bloggers, publicists, editors… and the list goes on. **Disclaimer: The winner of this epic giveaway MUST plan on attending UtopYA 2014 in Nashville, have their own transportation to and from the conference, provide their own lodging, and accept the winning of the ticket along with all other prizes. Should the winner already have purchased a ticket to UtopYA, we will discuss other options, such as the winner giving it to a friend of theirs, in which case we will purchase the ticket in the friend’s name, etc. These tickets hold NO MONETARY VALUE and cannot be refunded by the winner for any financial gain as the refund will come back to those of us purchasing the tickets for the winner. Please do not enter this giveaway if you DO NOT plan to attend UtopYA 2014 or are under the pretense of accepting only the t-shirt, ebooks, swag, and signed books. Refusal of the ticket will result in refusal of the entire prize pack. This contest is open internationally and will end at 12:01am EST on July 21th. Please only enter once. The winner will be announced later on July 21th, and will receive email notification! Please read our giveaway policy and leave us a comment! ALSO, bookmark this site: https://utopya2014.eventbrite.com/ just in case. Early registration ends July 31 and won’t open again until Black Friday (at full price). Contests are international, unless otherwise stated. Winners are chosen by rafflecopter and random.org. Books and prizes may be sent from The Book Depository, the author/publisher themselves, or from A Book Vacation Reviews personally. A Book VacationReviews is not liable for prizes not sent by author/publisher or that are lost, stolen, or damaged by the postal service or The Book Depository. Prizes will be shipped via postal service or electronically upon the completion of the contest and response from the winner. Time frames for receiving prizes will vary immensely based on type of prize. A Book Vacation is not at fault if winner in unable to read ebooks due to lack of technology or technological issues. Entrants may only enter each giveaway once unless otherwise specified. All contests have an age stipulation, either 13+ with parent/guardian permission, or 18+ years of age or older, and these stipulations must be adhered to or winner voids receipt of prize. 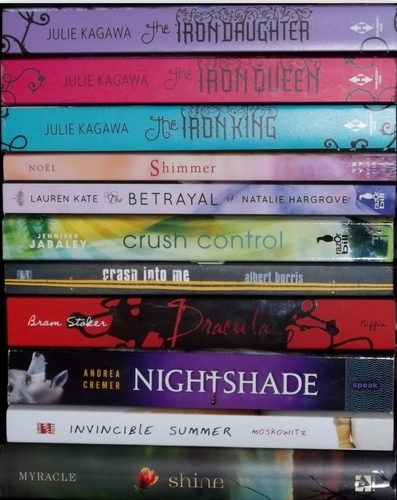 Winners will be announced in a blog post dedicated to the giveaway on the date the giveaway ends. Winners will be notified by email and have 48 hours to respond before a new winner is chosen using rafflecopter and random.org. 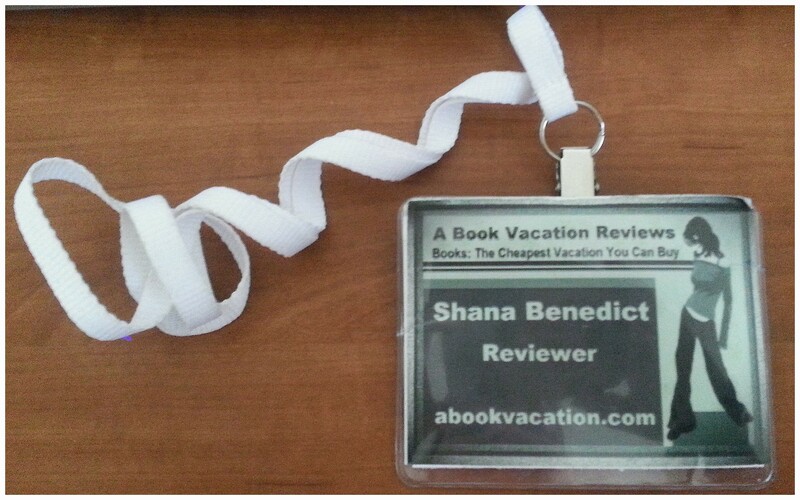 A Book Vacation Reviews is not responsible if the item is lost, damaged, or stolen. A Book Vacation Reviews holds the right to end a contest before its original deadline without any prior notice. A Book Vacation Reviews reserves the right to terminate a giveaway at any reason or to deny prizes should unforeseen issues arise. No cheating. A Book Vacation Reviews will check each entry and cheaters will be disqualified without notification. Your personal information will not be saved or used for any other purpose. If you have any questions, please email A Book Vacation Reviews. If you are the winner, please email upon receipt of prize. I’ve only ever been to one other big yearly convention (100+ authors present), and that is NCTE (National Council of Teachers of English). Because I had nothing to compare the convention with, I really thought NCTE was the icing on the cake. 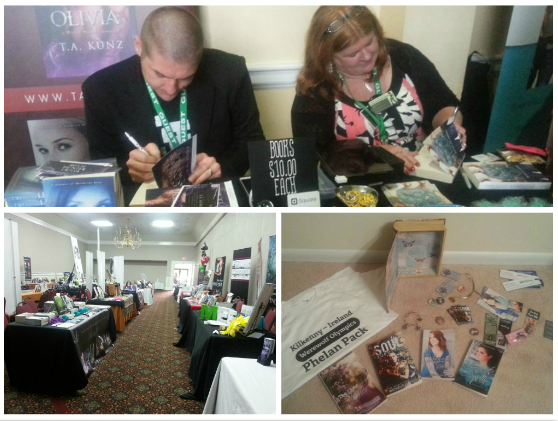 I walked around from booth to booth, stood in long lines, purchased books, and got them signed by the authors. But what I didn’t know I was missing at the time was commodore. We, the fans, stood in long lines, but we didn’t talk to one another. It was a very quiet function actually, now that I think back on them. Publicists had us write our names on sticky notes and put them on the title page so authors could quickly sign. We were then ushered away from the table—no time to talk to the authors or tell them just how much their books touched our lives. It was a “get in, get signed, get out” mentality that I thought was normal, and probably is normal in the regular signing world. However, UtopYA is different. 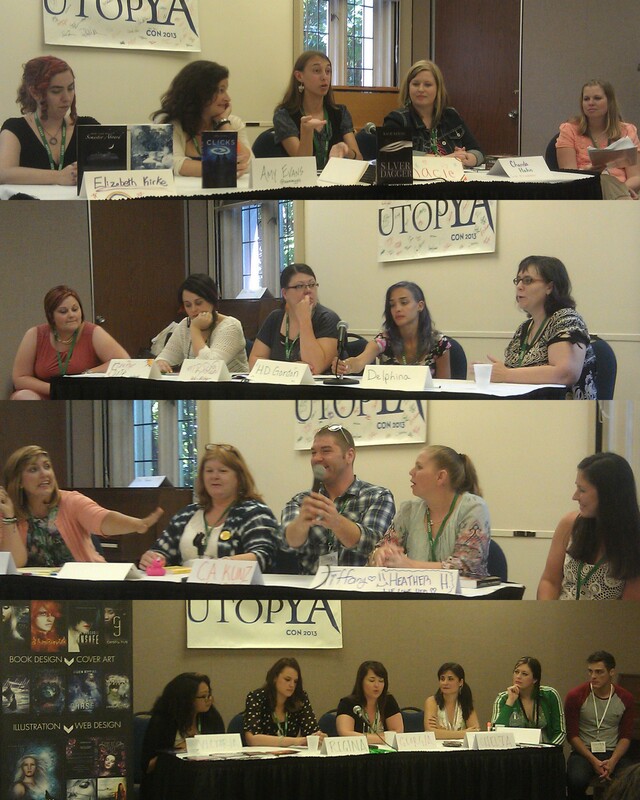 Authors and aspiring authors, publicists and publishers, bloggers, and readers alike spend three days in close succession at UtopYA, and everyone is equal. There was never any feeling of authors and publishers on one side and everyone else on the other, and there was never any feeling of inferiority, either. There were relatively no long lines, and authors took the time to talk to their readers, really personalizing their books after getting to know the person they were signing for. We all went to the panels together, picking and choosing which ones we wanted to attend (and there were so many amazing ones), and the best part was that I could sit right next to my favorite authors, and we, as the audience, were asked to interact with those on the panels. It wasn’t a sit and listen to the speakers type deal like so many panel discussion tend to be. The audience not only asked questions throughout, but also offered their own insight as we all had something to bring to the table, and there was no discouraging of it, but rather pure encouragement from the very beginning. Panel rooms were packed to the max, and they were fun! Not only did I learn some amazing things about the authors I love and the publishing world in general, but I also laughed hysterically. I got to see how candid the panelists were—no frills and no cliques, and the fact that they were made up of authors, bloggers, publicists, editors, designers, and readers gave the topics more insight. And then? 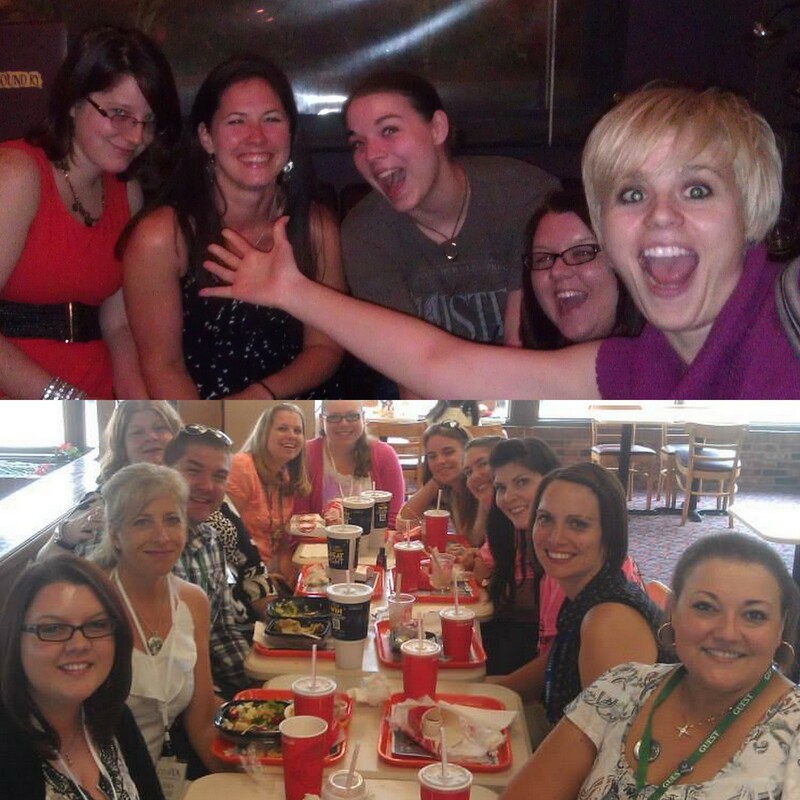 We ate dinners together, hung out in the hotel lobby together, took hundreds of pictures together, put twitter handles with faces, and all around connected in a very real way. What other book conference can say that? I had all my books personalized, listened to authors, bloggers, editors, and designers speak about their journeys on multiple panels, ate meals and attend gatherings with my heroes, met fellow bloggers I’ve been following, and connected with many people I didn’t know, making long-lasting friendships… it was just amazing, and I cannot, cannot, cannot wait for June 2014, which is going to be even more epic as founder Janet Wallace and her amazing assistants roll out their changes. It’s going to be even bigger, and I just can’t wait. First of all, the conference itself isn’t expensive at all! Right now, there are advanced tickets selling on eventbrite. Here’s the price range you’re looking at to attend some or all of the conference. I highly, highly suggest you attend the whole conference, but act fast as these prices continue to rise as we get closer to the conference date! In 2014, UtopYA is moving to The Millennium Maxwell House Hotel and the group rates are just $105 a night for a room with a King or two double beds!!! This is even cheaper than this past year’s price at the Holiday Inn Vanderbilt! The group code to reserve this price is 1406UTOPYA. Do it! Oh, and they offer a FREE shuttle service roundtrip to the airport. Even better! 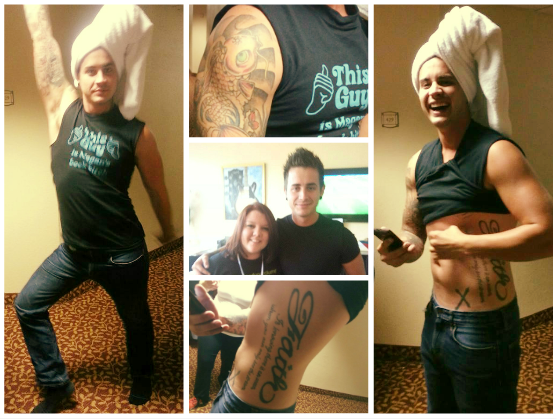 For UtopYA 2013, I roomed with the amazing Tiffany King, and it was epic. She’s an astounding author, and I’m a blogger. See what I mean about connecting with everyone on a deeper level at this conference? I was ecstatic to room with her and her lovely daughter! And next door to us? 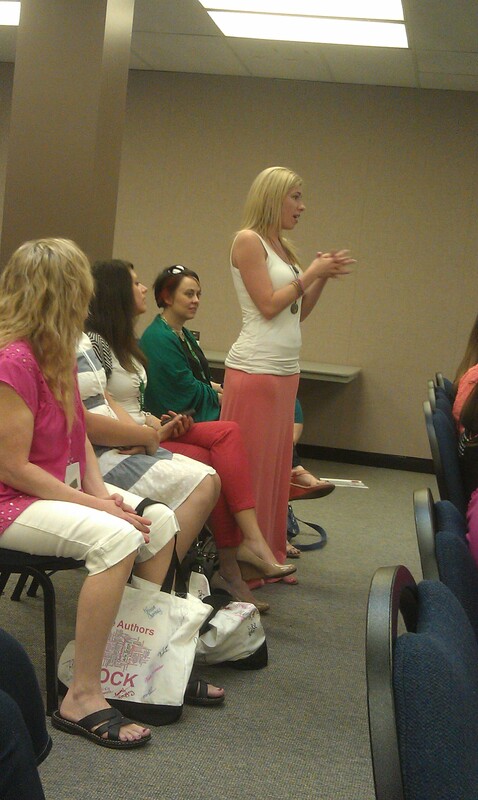 Heather Hildenbrand, Heather Self, Angeline Kace, Chelsea Fine! And the next few rooms? Carol Kunz, Adam Kunz, Raine Thomas, Sarah M. Ross… and the list goes on and on. EPIC. In other words, you won’t be alone in the hotel, and if you need a roommate to help cut costs, you can easily find one! The more the merrier in a room, as I found this weekend, and I’m actually a really quiet, shy person who is socially awkward and doesn’t speak in situations where I don’t feel comfortable. Are you like me? Then you’ll thrive at UtopYA. I didn’t have trouble speaking to anyone at all, I loved my roomies, I hung out with the rest of the people on my floor… all around amazing time. Yeah, so don’t let the hotel situation stop you from coming. Need a roomie? Join the We are Going to UtopYA Facebook Page and easily find one! Think about it: if you split $105 by two it’s just $52.50 a night for three nights, a total of $157.50 plus tax to stay at the hotel where the convention is held! That’s a GREAT PRICE! OR, find three roommates for a price of $26.25 per night… a total of just $78.75 plus tax for three nights to stay at the hotel where the convention is held! That’s a GREAT PRICE, TOO! Don’t worry, you won’t be spending much time in your hotel room, anyway, so multiple people in a room, though it may sound scary, really isn’t bad at all. Trust me. So PLEASE don’t let the price of the hotel or the need of roommates, etc., STOP you from coming! Southwest is the only carrier I’ve found that doesn’t charge for luggage. This is a book conference, so that means you’ll have LOTS of books to take home. You could mail them, technically, and spend a lot of dollars doing it, OR, you could fly Southwest, which allows you TWO FREE CHECKED BAGS UP TO 50 POUNDS EACH! Yeah. This. I flew Southwest this year based solely on the free checked luggage. It’s a three days conference, so you don’t need to bring much in terms of clothes and such (which I’ll talk about next). But you DO need lots of space for your books. 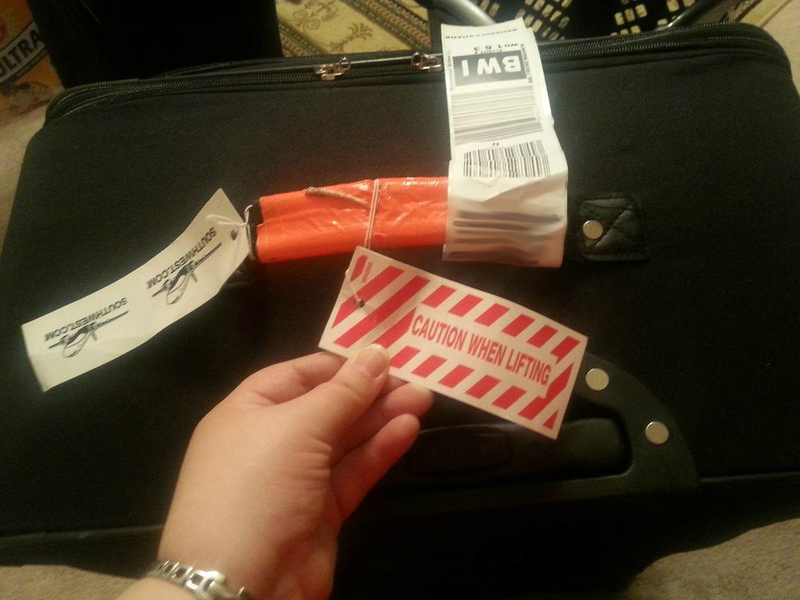 I checked two bags for the conference, and one was completely empty on my way down to Nashville. Hey, it’s free right? And it saved me a ton of cash when I left the conference because I checked all my books… my combined weight with books, swag, and clothes was about 80 pounds between the two bags. 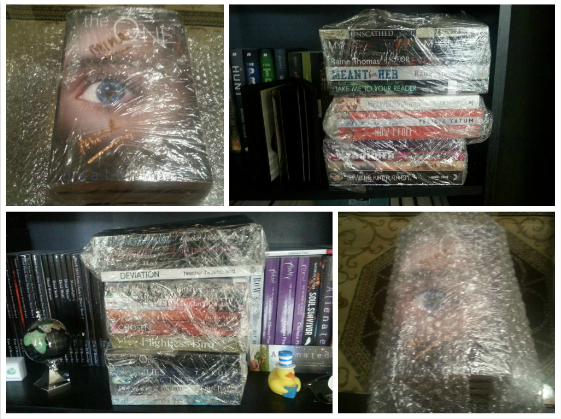 And about 70 pounds of that was book weight. Imagine the price tag on mailing home 70 pounds of books? Yeah. Don’t. Take Southwest. 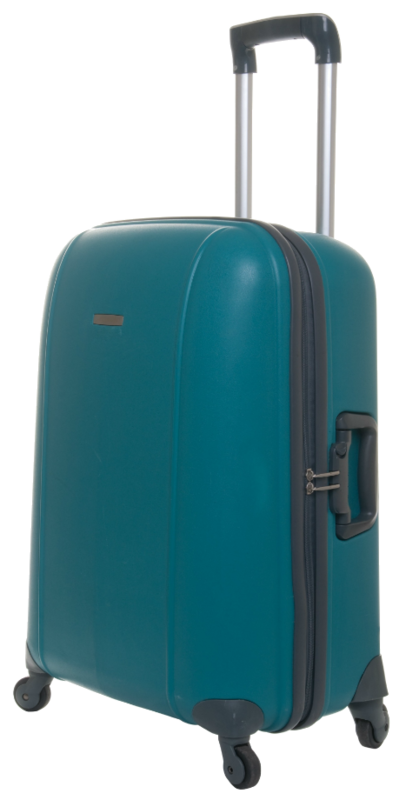 Oh, and make sure your carry-on has wheels. You might want it for the conference to transport all your books and swag (plus, it’s gentler on your body). ALSO, if you have the chance, do what I did: On your flight home, if they’re asking people to standby and take another flight because your flight is full, DO IT! Southwest asked me to take the next flight out, which was just four hours later than my original, and they GAVE ME A VOUCHER FOR DOUBLE WHAT I PAID FOR MY ROUNDTRIP TICKETS. That means my flight to Nashville next year is ALREADY PAID FOR! In other words, if you don’t have any pressing engagements, take the voucher on any Southwest flight if they’re offering (free bags, remember), and it’ll add up to some awesome free flights. For real. If you DO decide to mail books, make sure you send it USPS (regular mail) and tell them it’s MEDIA MAIL (if you’re mailing in the USA–media mail doesn’t exist for international mailing)! I highly suggest avoiding FedEx because it’s mad expensive. USPS is the least expensive, and media mail makes is even less so. Pack light. You’re only at the conference for three days, and you don’t need to change your outfit multiple times a day. I hardly packed anything to wear, and I still didn’t wear it all. 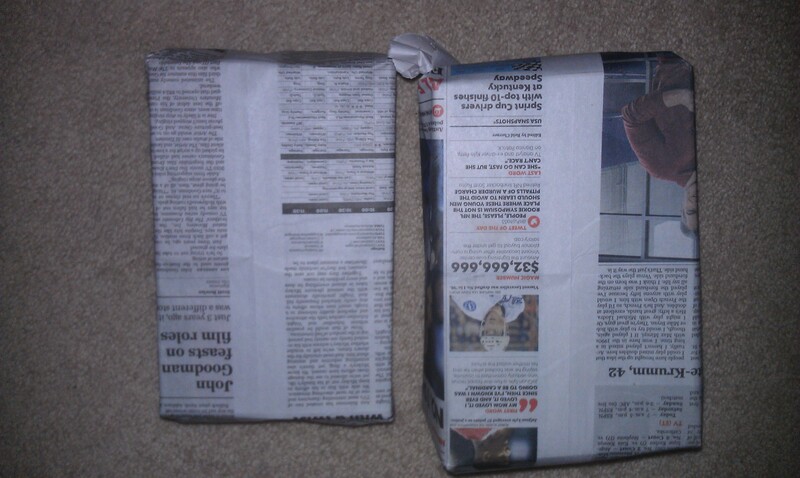 Heavy wrapping paper (you will want to double wrap your books in stacks for the travel home so they don’t flop all over the suitcase and end up damaged) ====> Newspaper is NOT a good idea, though, as it leaves black ink on things and is too thin. Cash for books—some authors take credit cards, but it’s just easier with cash on hand. Just in case you missed it in my hotel information tidbits, the hotel offers a COMPLIMENTARY ROUNDTRIP SHUTTLE SERVICE TO THE AIRPORT. Call ahead to let them know you need them to pick you up, for FREE (but don’t forget to tip the driver). #Epic. I’ve already said it in my opening statements, but this conference is epic. I adored it and the laid-back nature of it all. 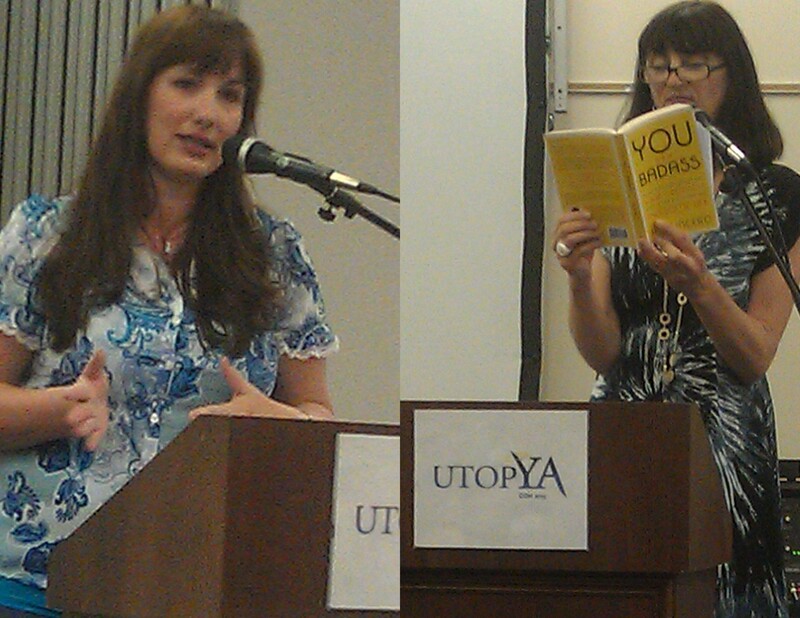 Janet Wallace, the founder of UtopYA, has made it an unforgettable event that you just cannot miss! 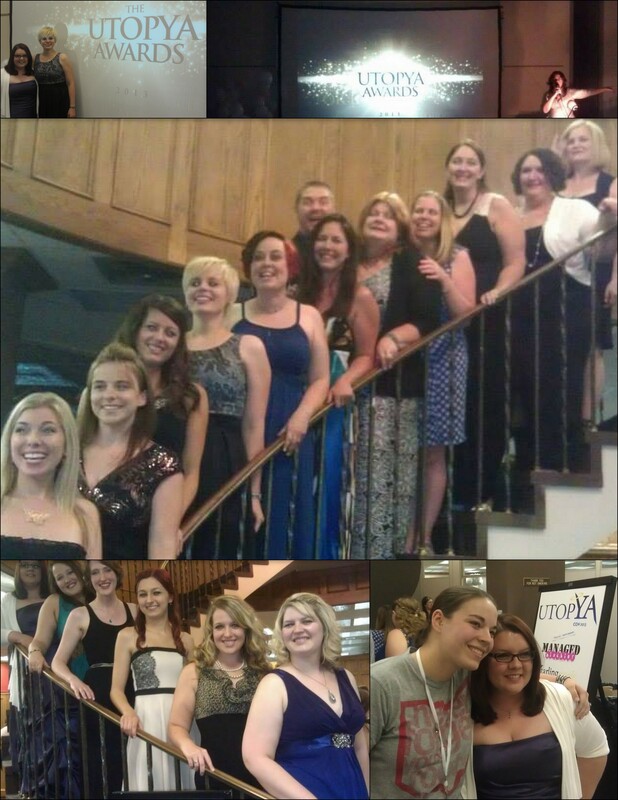 In 2013, our keynote speakers were Jennifer Armentrount and Jen Sincero, two amazing authors, and their speeches inspired us all! 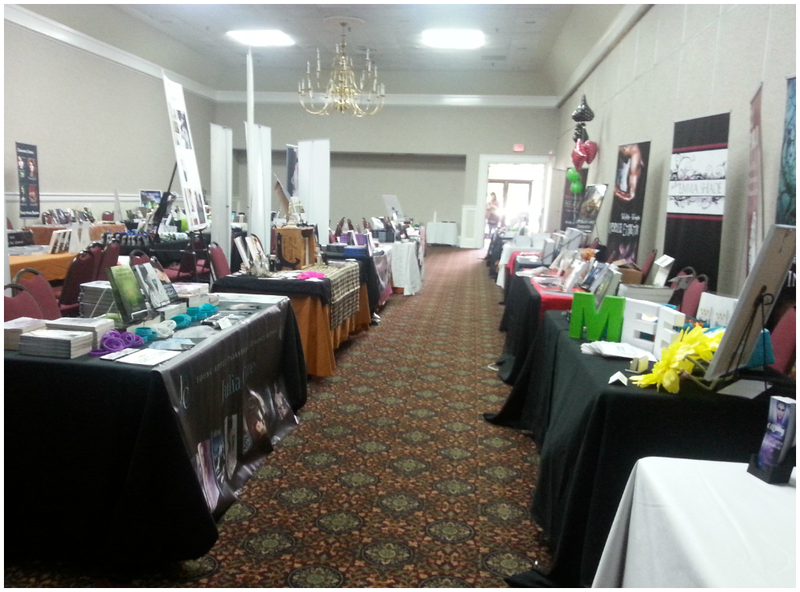 There were also amazing giveaways to start the morning, so make sure you’re at the conference on time! So many people showed up late, missing the opening statements and, therefore, lost out of their prizes! Hey, more for me! But seriously, you don’t want to be late for the opening announcements each morning. The schedule of events for 2014 is now up…. CHECK IT OUT! We’ll also have an author signing event on Friday night this coming 2014 UtopYA! This is a great addition for which I can’t wait! This will allow a set time for authors and fans alike to get their books signed, making it easier to pinpoint your particular author’s whereabouts. The awards were phenomenal this year (2013). I loved every minute of it! 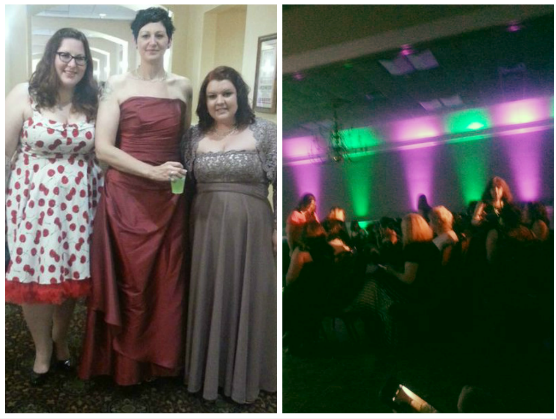 It’s like a red carpet event and it was so awesome to be a part of it. Right now it’s not a sit down dinner event, so eat a light meal ahead of time, but also keep your ears open as food may become part of the awards at some point down the line. And, in 2014, there will be a cocktail hour AND an after-hour dance party as well… oh heck yes! Questions, comments, concerns? Let me know and I’ll do the best I can to answer them, or put you in touch with someone who can. Also, make sure you check out UtopYA online as they’re already updating their site for next year’s event. See you there!! 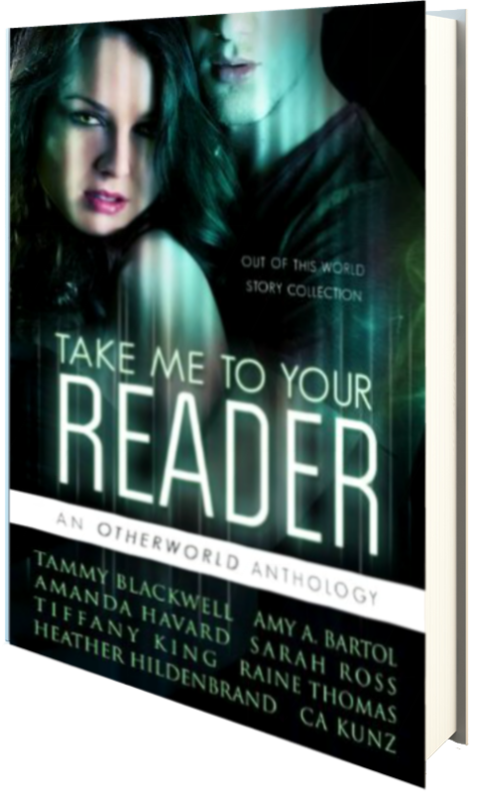 AND–make sure you pick up a copy of the first ever UtopYA anthology, complete with NEW, original short stories from these authors: Tiffany King, Heather Hildenbrand, Amanda Havard, Amy Bartol, Sarah M. Ross, Tammy Blackwell, Raine Thomas, and C.A. Kunz!